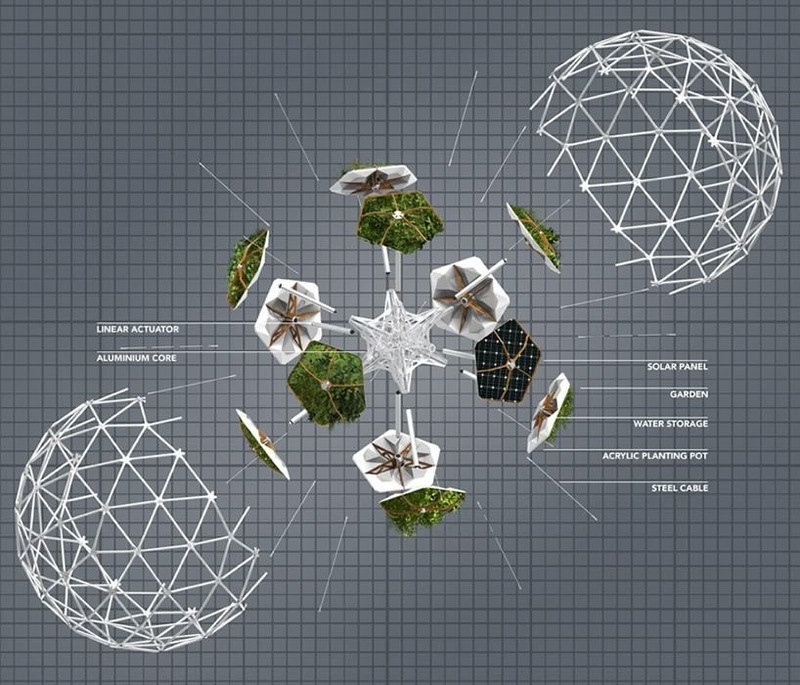 Hortum machina, B – a nomadic, self-driving and self-cultivating garden. 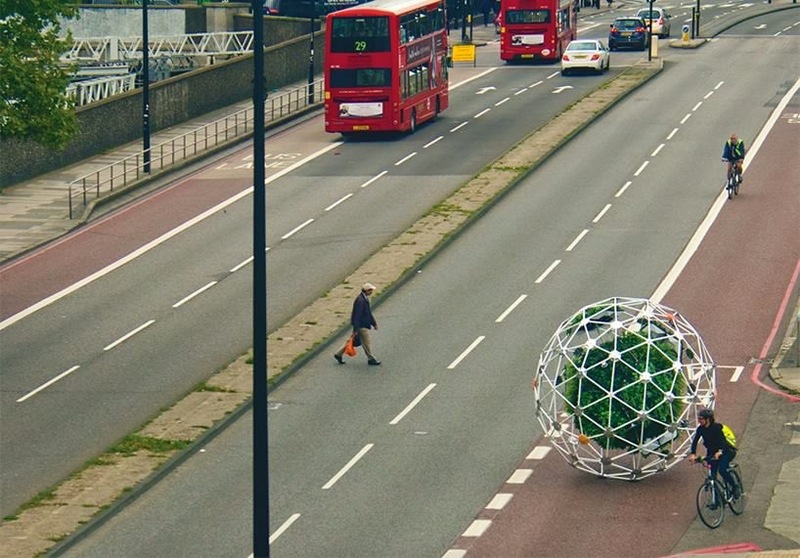 UCL’s Interactive Architecture Lab introduces Hortum machina, B – a nomadic, self-driving and self-cultivating garden. Half organic, half robotic, the project is the brainchild of students William Victor Camilleri and Danilo Sampaio – and was developed under the supervision of the Lab’s director Ruairi Glynn. Inspired by Buckminster Fuller’s landmark book, ‘Operating Manuel For Spaceshp Earth, Camilleri and Sampaio set out to explore the idea of ecosystems having a mind of their own. Since Charles Darwin’s concept of the ‘root brain’, scientists have speculated on the possibility of plant consciousness. A growing body of research has revealed electrochemical mechanisms in plants analogous to those found in the animal nervous system. By networking and amplifying plant electrophysiology, Camilleri and Sampaio believe it opens the doors to giving nature a say in how we design and manage cities better in the future. 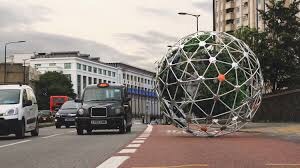 The result of their research is Hortum machina, B – or Garden machine, Bucky – a mobile ecosystem made up of a large geodesic sphere with a robotic core, which has a modular garden wrapped around it. Using a network of electrodes to monitor the plant’s physiological responses to their environment, the structure is able to interpret the collective needs of the garden and move itself, accordingly. As plants at the bottom of the sphere begin to lack direct light, they communicate this – ‘voting’ for the sphere to roll over, moving individual panels to shift its centre of gravity and create momentum. As pollution levels become unhealthy for the garden, its plants direct the sphere to travel to an area of better air quality. And as temperature levels become too high for the majority, the plants will instruct the entire structure to roll into shade. As well as being an experiment in urban horticultural engineering, Camilleri and Sampaio see Hortum machina, B as a way of extending the reach of the London parks, green spaces and flora, that helped inspire the concept. All of ‘Bucky’s’ plants have been selected to be native to Britain and, as many native plants struggle to survive against the invasion of aggressive, non-native species, the designers believe that their creation could potentially aid in the survival of the threatened plant varieties – and further, help them to thrive. With all the discussion of ‘smart-buildings’ and ‘smart-cities’ focused on human needs and the arrival of driverless cars, drones and many other forms of intelligent robotics starting to co-habit our built environment, Hortum machina, B is a speculation upon new opportunities for bio-cooperative interaction between nature, technology and people, within the city landscape.